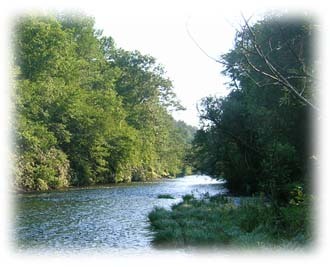 Right now most - except only the coldest of cold - trout streams are getting too warm for worth while fishing. 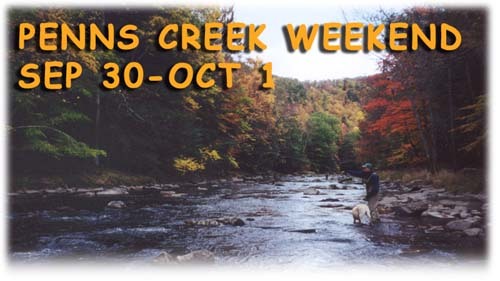 And here is SE PA we do not have many COLD trout streams. Even waters like the Pohopoco - which always runs on the cold side is warming. What we have is a depletion of the the cold water as a result of the high releases from the flood a few weeks ago, and now combine that with high air temps. You know something funny about the Po, according the Army Corps Phila District, in the past they've had people complain to them the water is too cold! Can you believe that?! It is trout water - it should be cold! Unreal!!! 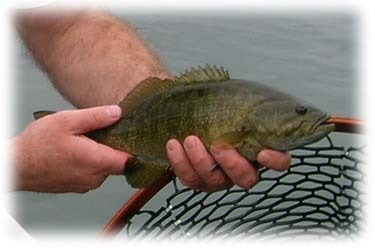 So with that being said, now is a good time to maybe try out some of our fine warm water fisheries. The Schuylkill at this time of year can provide some really nice action on the fly - not to mention the Susquehanna. So far this year reports from the 'Hanna have been few and far between. ***Special note...it has been about a week - and FFPA is still alive and kicking - the West Branch of the D and its bacteria laden flows have not put us down for the count. Penns Creek trib dumping some serious water. If we get a few more storms like this - the trout will have fared very well this summer. West Branch and Main Stem of the D post Flood. For the WB - the flows were the highest recorded EVER - since the dam was built. Our plan was to toss some streamers with hopes of possibly some evening dry fly action on the main in the low-light hours. Yeah right!! !That never happened as we saw about six mayflies the entire evening. Isos and Sulphurs. Thankfully...subsurface streamer action was not bad - more so on the WB than the MS. The lower WB produced a flurry of hits and hookups. The guys working the rods just could not keep the quarry hooked. The one nice size trout we saw went about 16". Smaller fish are still around, if anyone was concerned....right off the get-go we moved one 12" brown. The WB has a lot of debris. The river has also shifted in certain locations. A very heavy rainstorm before we floated made the WB immediately below the tribs somewhat stained. East Branch and MS ran clear. One of the nicer size smallies taken just downstream from Stockport. The MS was pretty slow for the most part. The run took us to Buckingham. Water temps were well within the range for action trout - not getting above 67F. Junction pool produced a nice fish we never saw. For the most part smallies were the name of the game - hooked a walleye as well. Lost again by the angler. Appearance wise...the MS looked no worse for wear for the most part with the banks in decent shape. What you do notice is all the gravel, which has washed down from the little tribs. We are talking truckloads worth of wash in a few locations along where Rt 191 borders the river. Just about every riffle is pretty much made up of bright colored rocks. The braided section below Bard-Parker has changed. The eagles though that live at the end of the island seemed none-to-effected. In fact they were hunting and eating quite well - at the expense of a sucker. As has been the case for multiple trips to the Upper D System the white marabou clouser has produced. It just flat out works!!! Pic of a trib on the NY side of the West Branch dumping big time mud after a brief deluge. Flood remnants can be seen as well. As small streams go the Pohopoco has a lot going for it. Its got bugs, a consistant supply of coldwater, a result of the bottom-release from Beltzville, you can almost always count on feisty, colorful trout - even in the meat of summer. This past week while in the area of the Po I decided to check it out and see if the usually consistant late-afternoon sulphur hatch was happening. As I waited it did not take long to realize the hatch was not going to materialize. It became quite clear the bug life has taken a bit of a hit as a result of the high releases from Beltzville. What a shame, but this can occur from time to time, and is not unheard of. We will just have to wait and see how the Po recovers. This weekend brings the Upper D and maybe even a Penns outing. Look for a report once we get into next week. Get out if you can. For late July, we've decent conditions for a lo-light. 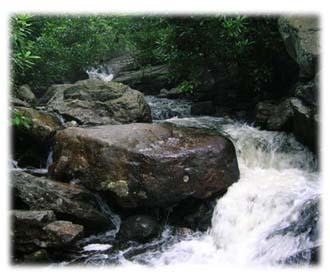 Pictured above is the Pohopoco upstream near the dam. 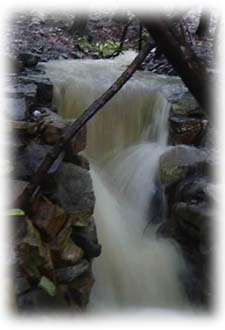 In this pic the flow/release is about 150cfs. We are blessed here in PA with quite a bit of brookie water. Here is the recent brookie report I gave some buds of mine...short and to the point!! Drive-in. Bike-in. Hike-in. Then bush-whack down and in. You needed one leg shorter then the other! 58 degree water. Tropical downpouns. Cold breezes and intense sun! Native brookies. Endless cascades. Hike-out. Bike-out. Sick amounts of brookies. They just slurped in the flies. Crazy. Super lazy. You could see them drift over from the cover. This stream pretty much flows off a cliff and we fished it up that cliff. Two weeks ago with the flooding rains this stream must have been at epic flows. Seems the fish are fine...like nothing happened. Chart humpys, bivisuals, wulffs, adams. 3x tippet. 7-8' rods. Lots of fly drying needed! Great flows, and unreal scenery. You never know what is around the next bend. One of the many brookies landed throughout the day. 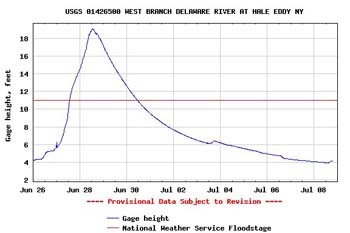 It is interesting to note the Hale Eddy gage on the West Branch of the Delaware set its second highest crest ever. It actually blew away all crests recorded since the dam was built. Take a look at the list to the right...notice all the dates are prior to the 1960's which is when Cannonsville went into service. The closest post Cannonsville crest to make the list, was in April of 2005, when the river went to about 14.5'. This year it went to 19'!!!!! Unreal!!!!! 19' at Hale Eddy - Highest crest ever since Cannonsville was built. Happy early July 4th! We got crushed! That is what happened to the eastern part of the state. Just after the Penns outing last weekend, the rains came and never let up. Mother Nature delivered the mother load! On the Lehigh...Walter came through and held back a max inflow of approx 25,000cfs. A consistent 250cfs release was maintained during the event - but now close to 10,000cfs is being pushed. The floodgates are pretty much wide-open! With this type of release, there is a good chance we are done with the colder water in the lake for the rest of the summer. It is now time to hit the headwater streams and tribs - they will be pumping some serious flows and cold temps for a good bit of time. This type of trib influence into the Lehigh will help the trout out greatly. Here is some frame of reference data for the Delaware River. 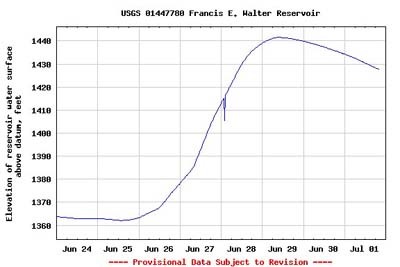 Highest level ever recorded at Francis E Walter. Amazing!